Dressing appropriately by wearing a suitable golf shirt shows respect for the sport -- and for a host who may have invited you to his club for a round. Golfers such as the late Ben Hogan and Payne Stewart were known for their fashion sense as well as their playing ability. 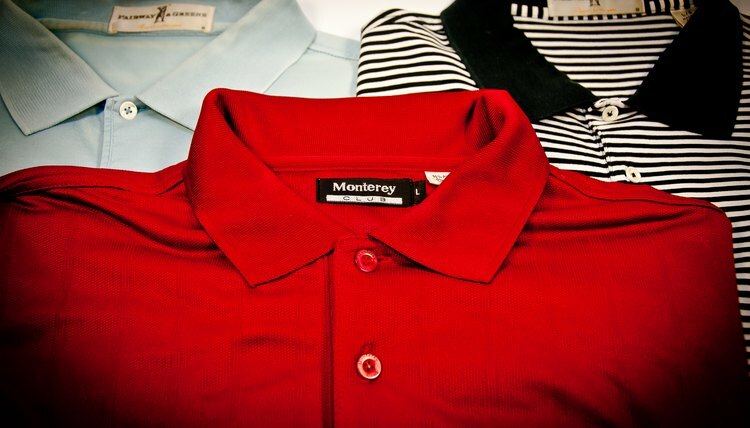 "Esquire" magazine asserts that looking good on the golf course often starts with a sharp polo shirt. Wear your golf shirt tucked in. It's hard to look great on the first tee when your shirt is hanging loose out of your pants. Professional golfers wouldn't show up to play looking that way, and neither should you. Hogan, one of the greatest golfers ever, dressed sharply from head to toe, and so did Stewart. Their confidence in their dress epitomized their professional approach to the game. 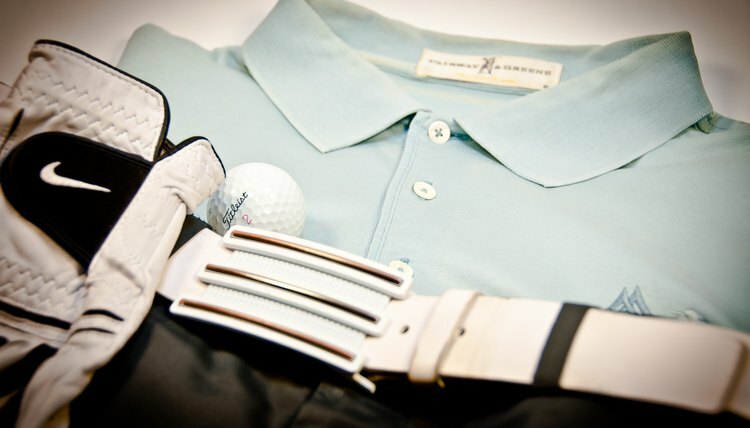 Some golf clubs have dress codes that lay out how you should wear your shirt on the course. Private country clubs usually have the most stringent requirements. Los Angeles Country Club, for example, insists that players wear shirts with collars and sleeves; meaning no T-shirts or jerseys. Shirts made of denim are also a no-no. Some private clubs may remind you of their dress code if you dress inappropriately. 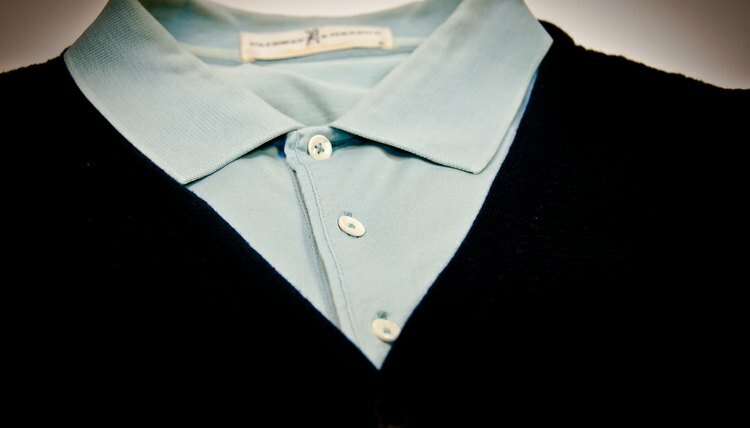 Button your polo shirt to the top on a cool fall day when you are wearing a cardigan sweater. Hogan opted for this look during his playing days and looked quite sophisticated. Loosen up on a hot summer day by leaving at least one button open, if you wish. 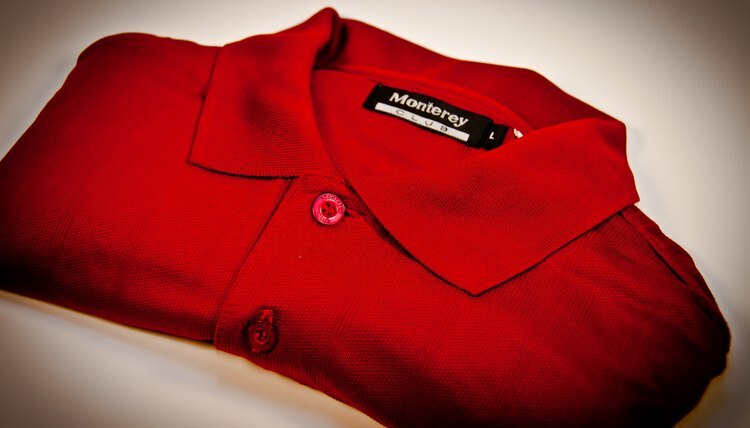 The Ask Andy About Clothes website recommends wearing contrasting colors to accentuate your golf shirt. If you choose a brightly-colored shirt, such as red or orange, pair it with slacks that have a neutral or subdued color, such as tan, black or white. Avoid loud colors if you are a playing as a guest at someone's club. Ask Andy About Clothes suggests a conservative polo shirt if you are playing as a guest of your boss or with someone else who is important. For example, consider wearing a blue shirt with brown khaki pants. 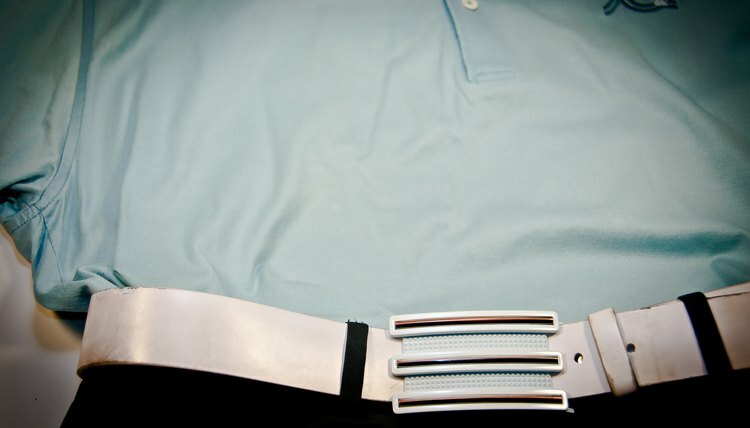 Keep an extra shirt in your golf bag. It's tough to look good after spilling ketchup down the front of your shirt. 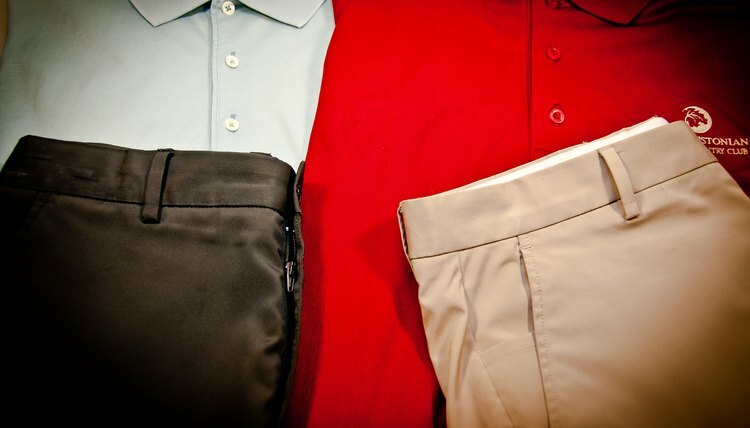 You also may need a change of shirts if you plan on dining in the clubhouse after your round. Los Angeles Country Club, for example, requires men to wear a dress shirt with a tie and a jacket while eating in the main dining room. If you're playing as a guest, check the club's website for its dress code, or call ahead.